Roddy Simpson, photography historian and academic, presents this unique talk, and walking tour of Edinburgh Old Town. 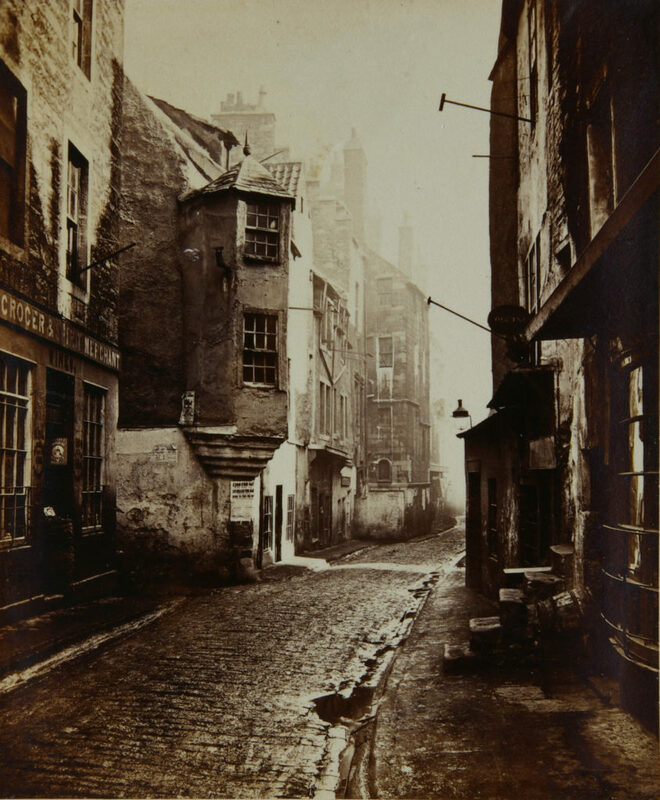 He will explore the area in the context of the photographs of notable Edinburgh based photographer, Archibald Burns (1831-80), concentrating on those published in Picturesque ‘Bits’ from Old Edinburgh and his extraordinary survey images following the Improvement Act of 1867. Roddy will have available some original Burns photographs for participants to view and discuss. The study day will be begin with a talk and slide show within Riddle’s Court, breaking for lunch (provided), and a walking tour of related Burns sites in the afternoon. The day will start and end at Riddle’s Court, and there will be an opportunity for a free tour of our 16th century building following the study day for those who wish to see it. Roddy Simpson is a photographer and photo historian and his photographs have appeared in numerous publications and his fine monochrome prints have been widely exhibited and are in private and public collections including the Scottish National Portrait Gallery. He is an Honorary Research Fellow in the School of Culture and Creative Arts at the University of Glasgow and a Teaching Fellow at the Centre for Open Learning at the University of Edinburgh. His book, The Photography of Victorian Scotland, was published by Edinburgh University Press in 2012 and has been described as ‘the seminal book on the history of Scottish photography’. Thresholds, a book of his fine monochrome prints was published in 2018.